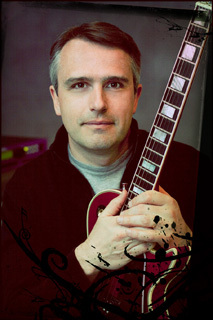 Tom Hedden is an experienced composer and music producer. His powerful scores are woven into the fabric of American Culture. They are mainstays in stadiums, TV shows, advertising, websites, video games, Halls of Fame and feature films. Known for his strong melodies and powerful rhythms, Hedden has forged a musical identity that is unique in character and instantly familiar. Whether it’s a full-blown orchestral score or a minimalist electronic soundscape, Hedden has proven to be more than capable of producing a wide range of timeless and provocative compositions. Hedden’s music has garnered the recognition of some of the industry’s most coveted awards, including: 5 Emmy Awards (11 Nominations), a Clio, an ADDY and twice, SESAC’s television composer of the year. With a thorough knowledge of the industry and an innate understanding of how music can be both a creative resource and a financial asset, Hedden was able to guide the NFL through the revitalization of the NFL Films music catalog, the launch of the NFL Network and the implementation of a cohesive music Strategy for all of NFL Media, including NFL.com. This unique perspective has made Hedden a valuable and trusted advisor to many in both sports production and music publishing. With a thorough knowledge of the industry and an innate understanding of how music can be both a creative resource and a financial asset, Hedden was able to guide the NFL through the revitalization of the NFL Films catalog, the launch of the NFL Network and the implementation of a cohesive music Strategy for all of NFL Media, including NFL.com. This unique perspective has made Hedden a valuable and trusted advisor to many in both sports production and music publishing.